The Làbas social centre in the heart of Bologna is one of the most important examples of urban activism in Italy’s recent history. Originating as a site for solidarity building and autonomous anti-capitalist organising, the occupied space has become a symbol of public rights in Bologna. 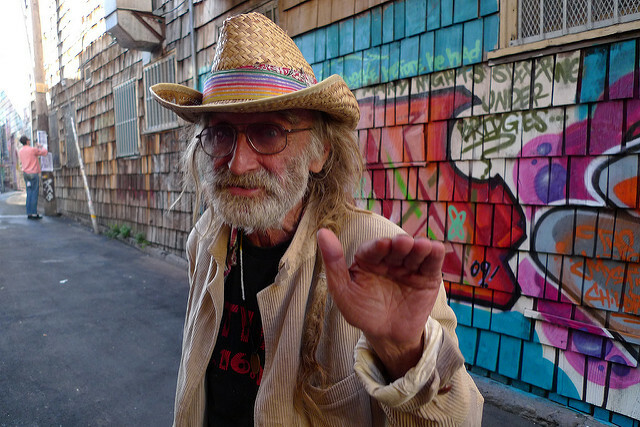 But in the past few years the city has undergone widespread gentrification, with municipal administrators ignoring the poverty and housing problems that social centres seek to address. 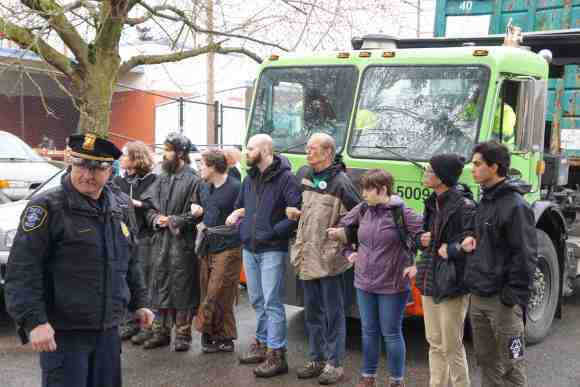 Last month, the Làbas occupation was evicted by police unexpectedly. The march organised for 9 September will be not only to save Làbas, but Bologna’s long-held reputation as a ‘Red City’ entirely. 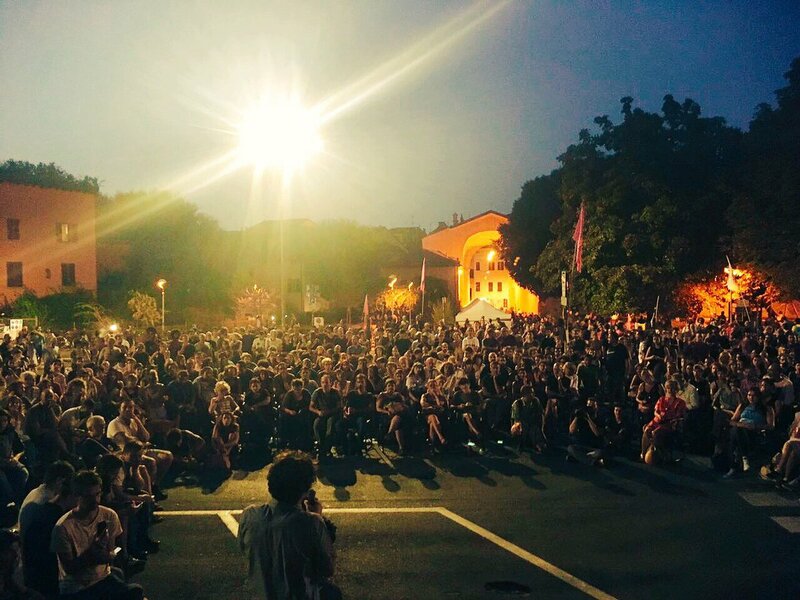 Image: Assembly about Làbas in Bologna, Italy on August 30; Reclaim Làbas on September 9. 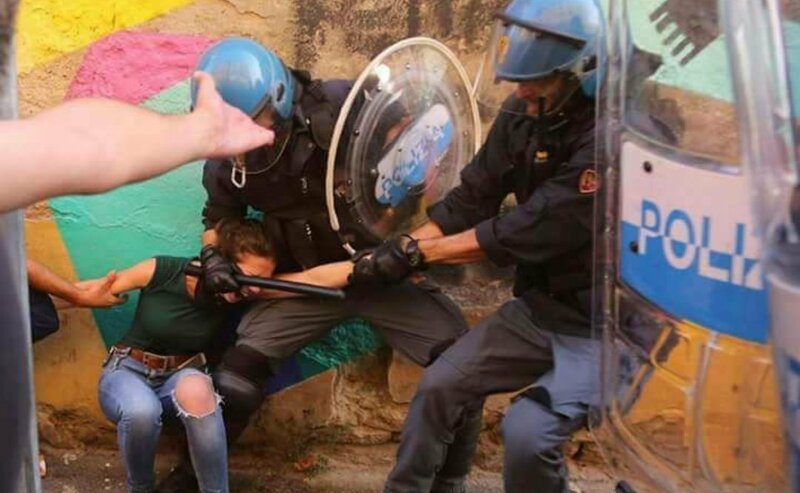 Cops violently evicted two social centers in Bologna, Italy yesterday. Activists announced that there would be a public meeting at the end of the month in preparation for a demonstration on September 9th to take back the Làbas social center. 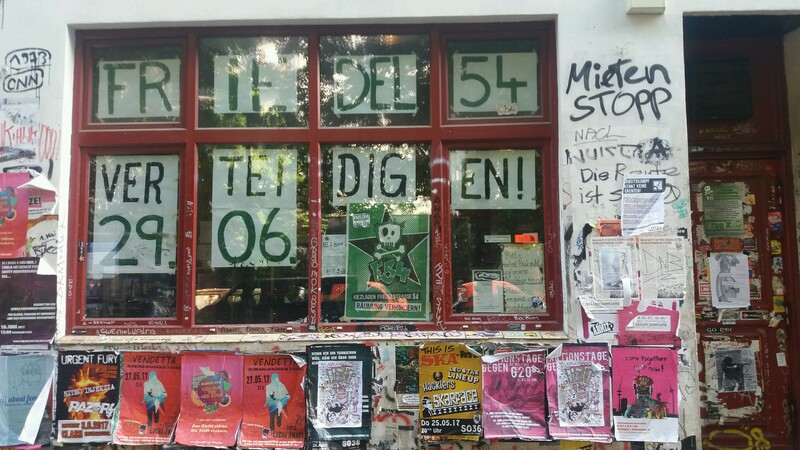 After months of threats, the eviction date for the Friedel 54 community space in Neukoelln has officially been set. On the 29th of June a Bailiff will violently enforce the new property-rights claim of the Pinehill S.à.r.l. . We expect heavy police presence on the day of the eviction. This is a report back from the eviction of Omari Tahir-Garrett from his home, the UMOJA Peace Center (a community based cultural center). I was in and out throughout the day, so consider these a few snapshots and not the whole story. Hundreds of cops evicted Skali 64 in Berlin this morning. About 100 people tried to defend the Apartment, but could not stop the army of cops. 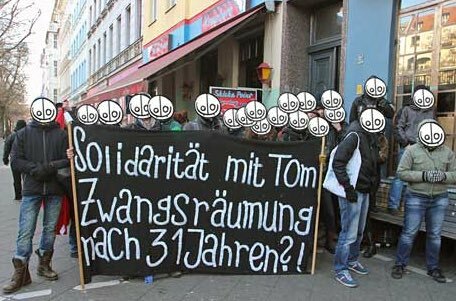 After 31 years Tom was forced out of his home.